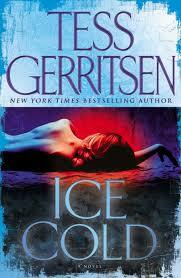 It’s another fast exciting read by Tess Gerritsen. There’s a reason her books sell all around the world. In this one there is a mystery, but it’s not one the reader has to worry about. All you have to do is hang on and go for the ride. Dr. Maura Isles gets caught in a storm with some friends and after that it’s a case of survival. When a burned up car is found and one of the bodies is ID’d as Maura, Detective Jane Rizzoli is a bulldog ready to do whatever she needs to do to find out what happened. I have to give it 5 stars all the way. A spur-of-the-moment ski trip becomes a bone-chilling nightmare when a wrong turn leaves Boston medical examiner Maura Isles marooned--far from home and help--in the snowbound Wyoming mountains. Seeking shelter from the cold, she and her traveling companions stumble upon Kingdom Come--a remote village of identical houses that seems to have bcome a ghost town overnight. But the abandoned hamlet has dark secrets to tell, and Maura's party may not be as alone as they think. Days later, word reaches Boston homicid cop Jane Rizzoli that Maura's charred remains have been found at the scene of a car crash. 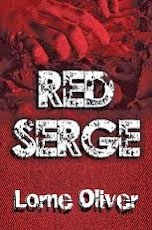 But the shocking news leaves Jane with too many questions, and ony one way to get answers. Determined to dig up the truth, she heads for the frozen desolation of Kingdom Come, where gruesome discoveries lie buried, and a ruthless enemy watches and waits. I know what you're saying, "why is this guy reviewing yet another Tess Gerritsen book?" Because they're DAMN GOOD BOOKS. Enough said.